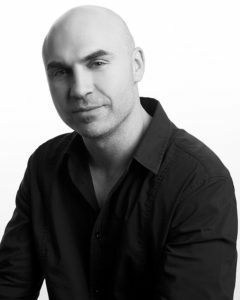 Daniel Naumovski is known for being one of Canada’s Top Stylists, not because of his several wins and nominations, regular media guest spots, or building the esteemed reputation for himself amongst his clients and peers — but because he has attained all these merits and accomplishments and continues striving for more. When he isn’t styling hair for his salon clientele, or on set a photo shoot, Naumovski educates as a Platform Artist for L’Oréal Professionnel. He is one of four H³ (Heart, Hand, Head) experts sent to train in Paris for L’Oréal Canada and has taught the latest trends to hundreds of stylists across the country. His talent and creativity are recognized by beauty experts and are evident by many wins and nominations at several award ceremonies including winner of 2006 Ontario Hairstylist of The Year at the Contessas, and L’Oréal Colour Trophy’s Long Hairdressing Stylist of the Year. Daniel’s Charm and television-friendly looks have made him a favourite throughout the Toronto broadcasting community. Bella (WTN), Images TV (The Life Network), Makeover Story (TLC), City Line and Breakfast Television (CityTV), and ET Canada(Global) have all featured Naumovski’s work. In print, he and his models have appeared in Toronto Life Fashion, Elle Canada, The National Post, Toronto Sun, The Toronto Star, Salon Magazine, and Designer’s Choice. In Toronto Life’s essential ‘Best Of” edition, Daniel was named one of Toronto’s Best stylists in the editor’s choice.